There was also the “Get Down” campaign. 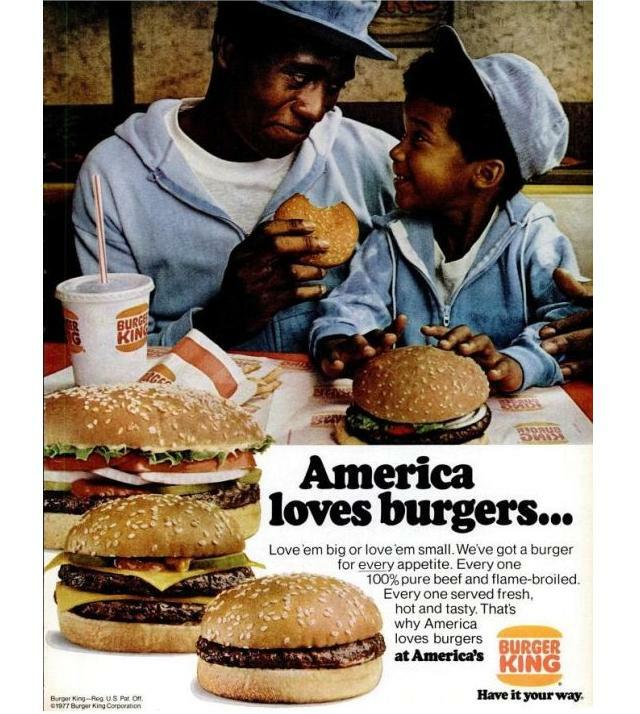 Ads featuring Caucasians from around the same time, meanwhile, left out lines like “On the real, kids can really dig gettin’ down with McDonald’s” and the insidious “‘em.” Employing “g-dropping” to appeal to African American audiences has a long history, from Aunt Jemima’s much-maligned “mammy” ads (which used lines like “Every bite is happyfyin’ light”) in the early 20th century to President Barack Obama’s controversial speech to the Congressional Black Caucus in 2011. Advertisers knew empirically that African Americans were more likely to buy a product when they saw themselves reflected in ads—so targeted advertising made sense. But agencies also worried that products would become “branded black,” losing them their white consumers as a result. This turned out to be a misguided fear. Demographic targeting continued to flourish, and by the end of the decade, blacks made up around 12 percent of models in commercials, compared to 3 percent in the mid-1960s, McIlwain said. 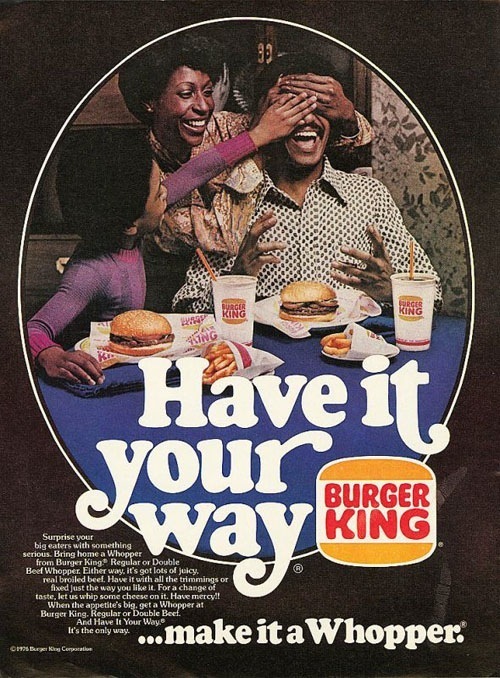 If microtargeting is a legacy of 1970s advertising industry shifts, then so is the casual—or symbolic—racism that inevitably resulted. As the sociologist Anthony Cortese noted in his book Provocateur: Images of Women and Minorities in Advertising, “Stereotypes of blacks and ethnic minorities have not been eliminated but have changed in character, taking subtler and more symbolic or underhanded forms.” While advertisers took depictions of African American more seriously, other minorities were left out, largely because they had no significant spending power and weren’t worth pursuing. 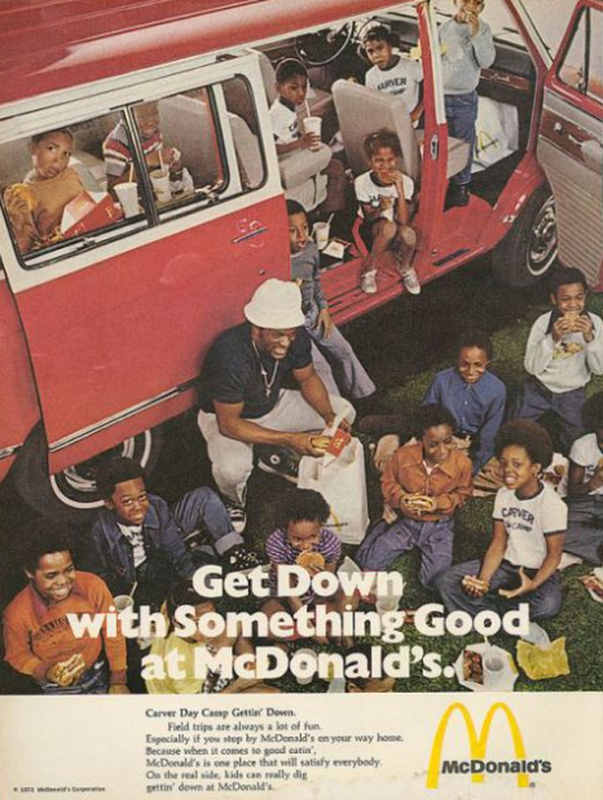 McDonald’s direct marketing to African Americans has always troubled me, largely because so many African Americans live in urban areas surrounded by fast food restaurants and with limited access to fresh produce and unprocessed food. It seemed to add insult to injury to present this business as having any investment or interest in African American history and culture. Which is great news. The overall progress the advertising industry has made in depicting people of different backgrounds and lifestyles hasn’t made people any more complacent about the kinds of casually racist imagery so many promotions still resort to. Ashton Kutcher in brownface playing a character named Raj for PopChips? Backlash, and the ad got pulled. A Mountain Dew commercial featuring a goat suspected of beating up a woman telling a lineup of black men “You betta not snitch on a playa”? It was called “the most racist ad ever” and also got pulled. All of which goes to show that, even with decades of hindsight, agencies are still looking to the sensibilities of the public to keep them in check.